and left us all feeling as if WE could leap those tall buildings. Congratulations "Clark" ... Well done! Shown above at barely one year of age, handled by David Gignac. 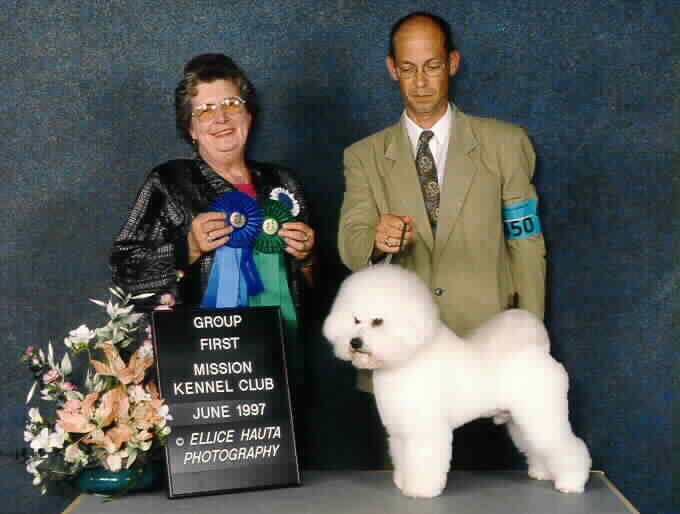 Clark was bred by NORMA DIRSZOWSKY, Udora, Ontario, and is loved and cared for by LAURIE MANN, Maple Ridge, B.C.